On the surface, power struggles look like a tug of war. Parents and kids pitted against one another. Opposing forces pulling in different directions. Two individuals, at odds with one another, both determined to WIN! 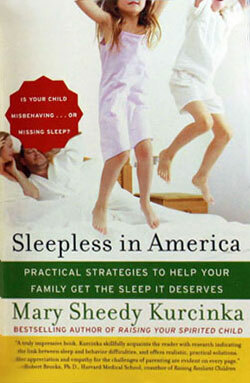 The trouble is that if you win by simply overpowering your child, you still feel lousy. 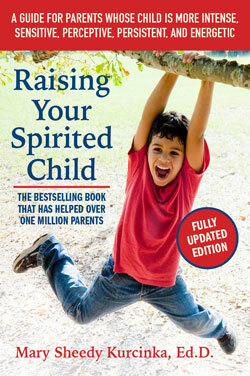 There's little pleasure in victory when your child is left feeling resentful and angry. If you lose, it can feel even worse. Every family experiences power struggles. But these daily tugs of war are not inevitable. 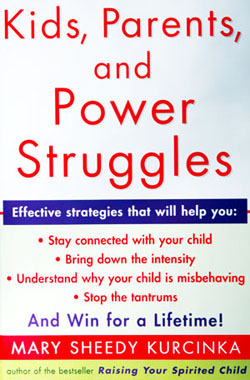 Kids, Parents, and Power Struggles helps you to unravel the mysteries of power struggles by offering insights into individual differences and normal patterns, recognizing that every child is unique and every discipline situation is different. 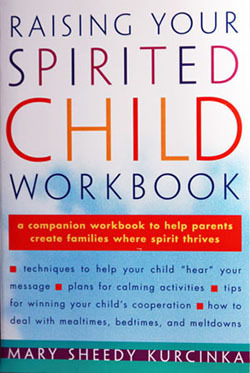 Dr. Kurcinka views power struggles as an opportunity to teach your child essential life skills, such as how to calm oneself, to be assertive without being aggressive, to solve problems and to work cooperatively with you and others. Unlikely as it may seem in the heat of the battle, conflict really does present an opportunity to connect with your child — for a lifetime.